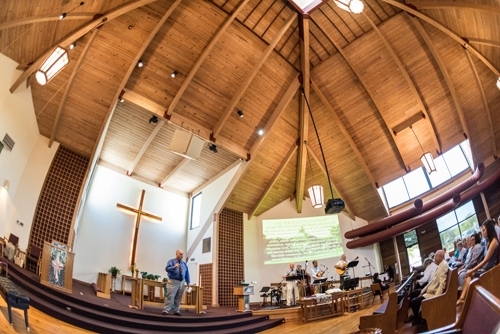 The 8:45 a.m. worship service offers a combination of music styles including traditional and contemporary music, as well as special selections by the Men’s Chorus, Women’s Chorus, the children’s choirs, and the Youth Choir. 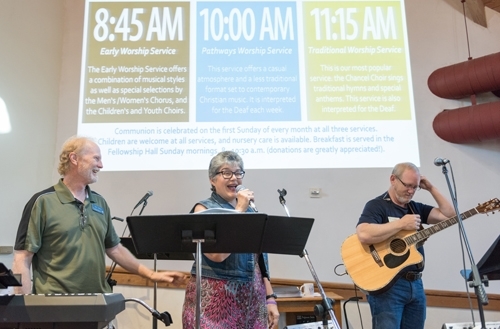 The Pathways worship service at 10:00 a.m. offers a casual atmosphere and a less traditional format set to contemporary Christian music by our Praise Band. This service is interpreted for the deaf each week. 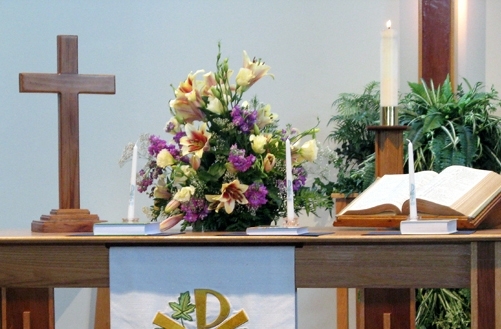 The 11:15 service is the most popular worship service at Oak Hill United Methodist Church. The Chancel Choir sings traditional hymns and special anthems. This service is interpreted for the deaf each week. Communion is celebrated on the first Sunday of every month at all three services. Children are welcome at all services; nursery care is available in the Children's Building. For more information on nursery care and Children's Sunday School classes, click here. We have ample parking both in front and behind the sanctuary (see campus map). Breakfast will be served in the Fellowship Hall from 8 to 10:30 a.m.